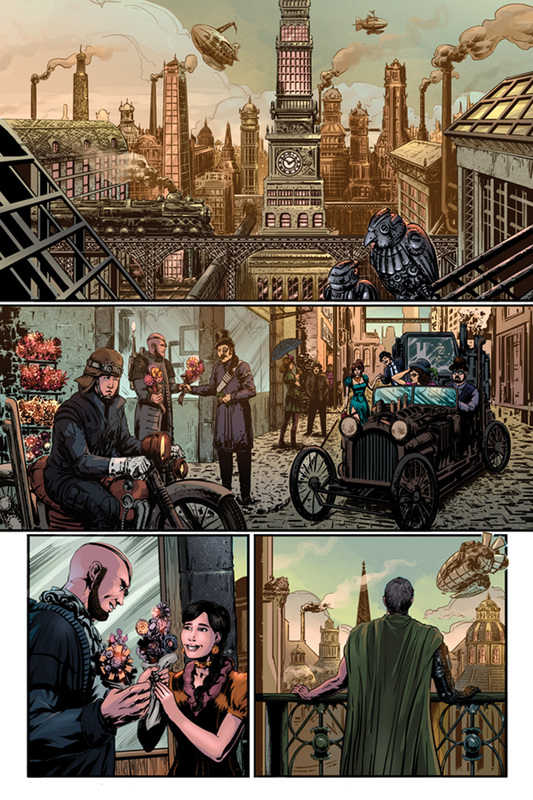 Dynamite Entertainment is proud to announce the upcoming December release of The Precinct #1, the first chapter in an all-new steampunk science fiction comic book series written by Frank J. Barbiere (Avengers World) and featuring interior artwork by Crizam Zamora (Vampirella: Prelude to Shadows). In the sprawling, steampunk metropolis known as The Big City, it's up to one group to keep the peace and uphold the law: the officers of The Precinct! Mortimer Hill is a veteran officer who has busted his fair share of criminals, but when mechanical monsters start causing trouble, he'll need to use all his wits (and brawn) to get to the heart of the mystery. Along with his new partner, a representative from the enigmatic Alchemy Academy, Mort will face the biggest case of his career... and the most dangerous! "I'm really excited for readers to check out The Precinct," says writer Frank J. Barbiere. "This book is a really fun journey into some new genres for me (mainly mystery and detective stories), and with a gorgeous steampunk setting, it really stands out as something special. Mort and Jo, our protagonists, are fun characters with very unique world views. I can't wait for readers to see them clash and experience the steampunk secrets of The Big City for themselves!" 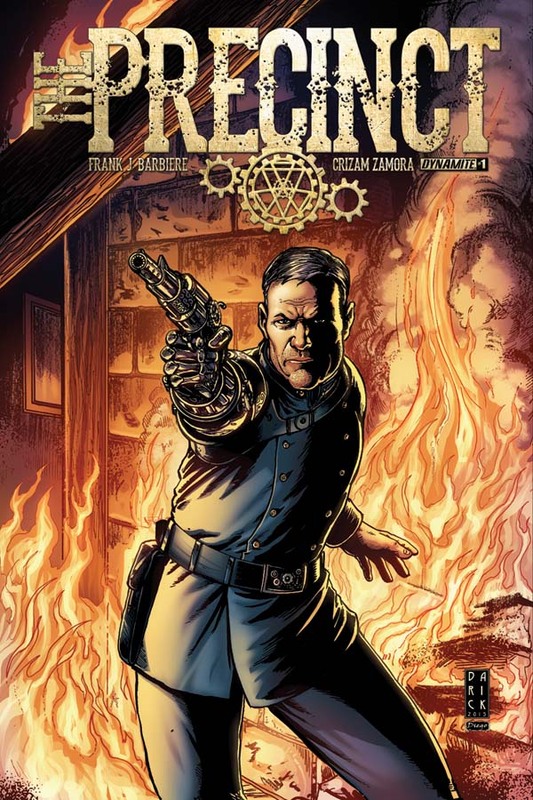 Dynamite will celebrate the debut of The Precinct with several cover options, allowing retailers and comic fans to satisfy their particular steampunk tastes. 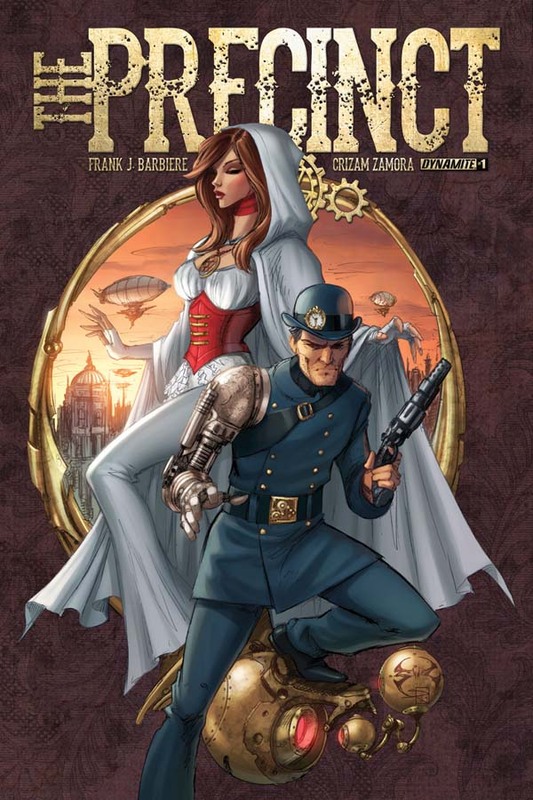 The acclaimed artist of Lady Mechanika, Joe Benitez, provides Cover A for the first issue, while Darick Robertson, the bestselling artist of The Boys, provides Cover B. A "Blank Authentix" edition will also be made available, featuring a blank cover perfect for aspiring artists or convention guests to design their own steampunk creations. Finally, Dynamite will create rare incentive variants and high-end collectible editions available through qualifying retailers: Black-and-White and Virgin Art editions by Darick Robertson, and a Virgin Art edition by Joe Benitez. The Precinct #1 will be solicited for release in December in Diamond Comic Distributors' October Previews catalog, the premiere source of merchandise for the comic book specialty market. 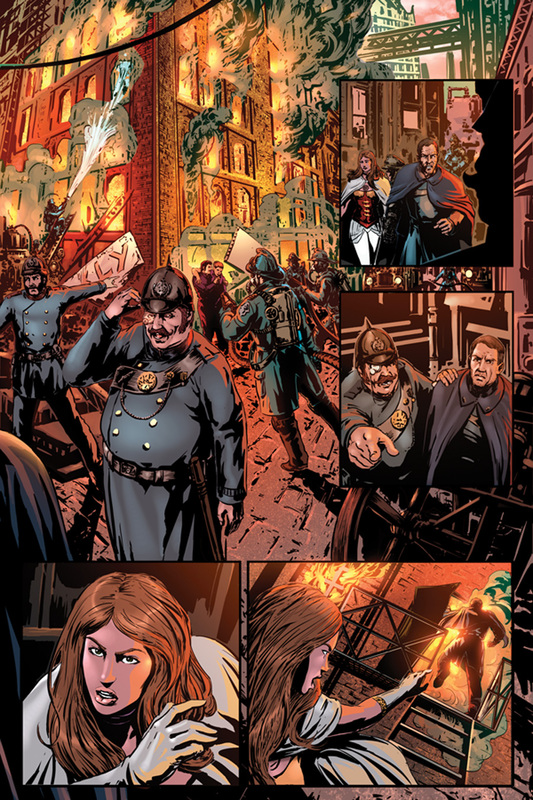 Comic book fans are encouraged to reserve copies of The Precinct with their local comic book retailers. The Precinct will also be available for individual customer purchase through digital platforms courtesy of Comixology, Dynamite Digital, iVerse, and Dark Horse Digital. Fans and retailers are encouraged to follow Dynamite Entertainment's official social media channels for the latest updates regarding project development.